A large manufacturer with locations throughout Ontario was implementing new data applications that required greater bandwidth than their current T1 connections provided. The challenge was with their one plant location, located north of Barrie, where no service greater than a T1 was available. Local wireless ISP’s would not provide enough bandwidth to accommodate their requirements. After carefully reviewing their current network setup, it was determined that a wireless LAN extension from their Barrie location through a hopsite would provide the required bandwidth to the client’s remote location nearly 90 kms away. SkyNet engineers were able to setup the solution and provide the client with a scalable full15 Mbps synchronous solution stretching across 90 kms of hilly terrain. 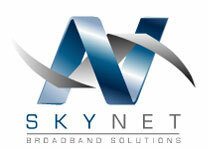 With the solution in place, the client was able to accommodate their new data applications as well as recently deploy a VoIP application all within the full capabilities of their SkyNet solution.